Songs of the Holocaust. Rachel Joselson, soprano; Réne Lecuona, piano; Scott Conklin, violin; Hannah Holman, cello. It has been more than 70 years since the fall of the Third Reich, but there is ample evidence that the fear and﻿ hatred which spawned it is still very much with us. That sad, disconcerting reality makes it all the more important that we continue to remember the devastation of the Holocaust and its incalculable human toll. It is also important to remember the stories of those brave souls who found themselves engulfed in the horror but who somehow met their brutal fate with grace and courage. Among the most uplifting of such cases are the artists and composers who continued their creative work amidst circumstances that most of us cannot begin to imagine. Such stories teach us vital lessons about the nature of human courage as well as the remarkable capacity for artisticendeavor to illumine even the darkest, most sorrowful corners of the human experience. (I know for certain that I will see you again). In another context, this might seem like a perfectly lovely if fairly ordinary song one might have heard on stage of a cabaret about two lovers who find themselves separated but hoping to be reunited someday. When one knows that it was composed amidst the deprivation and despair of Terezin by a composer who was eventually executed at Auschwitz, one cannot help but sense the heartache that resides just beneath the optimistic veneer of this anything but an ordinary song. It is an ideal way for this powerful journey to begin. That journey includes a traversal through eight songs by a gifted Jewish poet and children’s book author from Prague, Ilse Weber (1903–1944), who was also an amateur musician. These are her own texts and they convey the full gamut of emotions that a Terezin prisoner might experience, from hope to despair, bitterness to acceptance, and fear to peace. What makes these songs so disarming in their emotional impact is Weber’s charming, simple music. Most of these songs are strophic, and the musical language is tuneful and soothing, almost as though they were written with very young listeners in mind. It is that musical clarity and simplicity that allows these texts to speak so forcefully and memorably to us. The set includes two exquisite lullabies that Ilse may have written with her young son Tommy, imprisoned with her at Terezin, in mind. There is also “Und der Regen rinnt” (And the rain pours) in which she finds herself thinking about a child who is far away and perhaps has forgotten her. She was almost certainly thinking of her oldest son, Hanus, who was able to escape to Sweden on a Kindertransport, narrowly escaping the fate that befell his two parents and younger brother. Weber even includes the name “Terezin” in the first of these eight songs. Ich wandre durch Theresienstadt (I wander through Terezin) sounds for all the world like a song about someone standing on an ordinary bridge. In this case, however, the bridge is at the edge of the prison camp. “I so want to go further,” she sings, “I so want to go home!” Thanks to Weber’s touching song, we find ourselves standing on that same bridge, feeling at least some small measure of her sadness and longing. Most of the other songs on the disk were written by professional, thoroughly trained composers, and that is fully evident in their level of musical sophistication. 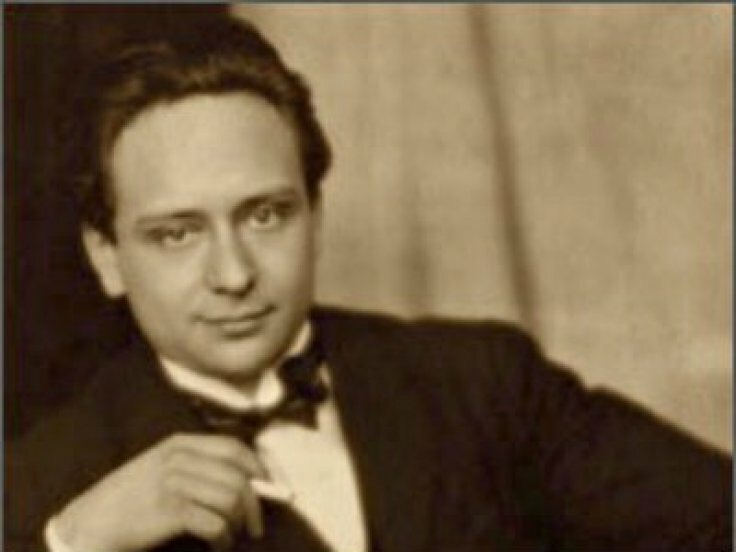 Viktor Ullmann (1898–1944), a former student of both Schoenberg and Zemlinsky, is represented by three Yiddish songs that demonstrate his assured craftsmanship. Carlos Taube (1897–1944) was both an orchestral conductor and composer whose only surviving composition is “Ein Judisches Kind,” an exquisite song for voice, violin, and piano that makes us long to hear all of the music that would seem to be irretrievably lost. James Simon (1880–1944) is responsible for most lush and overtly romantic songs in this collection with his Drei Lieder aus der Chinesischen Flöte. There have been many song recital discs commemorating the Holocaust. This is one of the finest, both for its imaginative variety of repertoire and for the passion of its performances. Adolf Strauss’s song is a lightweight, upbeat chronicle, optimistic that long separated lovers will eventually be united. Viktor Ullmann’s Three Yiddish Lieder are weighty, classical songs, belying their simple poems. Carlos Taube’s A Jewish Child is a mournful ditty, its melodramatic character emphasized by a solo violin (played by Scott Conklin). Ilse Weber was a poet and writer of children’s books. Not a professional musician, she wrote simple melodies for her eight poems of Terezín, mostly about children. Gideon Klein’s Lullaby is his arrangement of an old Hebrew song. James Simon set three songs of Li-Tai-Po. The music is varied and interesting. 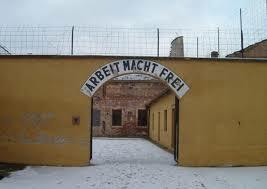 Strauss’s gentle and romantic piece belies the darkness of his time at Theresienstadt and later murder at Auschwitz. The Ullmann songs here, the Drei Jiddische Lieder have a nostalgic, folk-like feel that borders on the modern, especially in the accompaniment of the playful ‘Margarithelech.” Taube’s ‘Ein Jüdisches ﻿Kind’ has a mournful violin obbligato arranged by David Lisker﻿. Weber’s songs are, for me, the most heartbreaking of the program. The poetry, set in simple, direct, fashion over rolling accompaniments (some of it her own), deals directly with her circumstances. 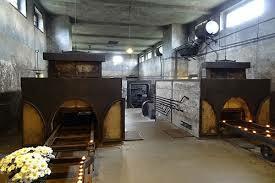 In ‘I Wander through Theresienstadt’ she asks, “when will the suffering end?” In ‘Ade, Kamarad!’ she writes, “Now we will never see each other again.” Most poignant, in ‘Wiegala’ (Lullaby), she asks, “How is the world so quiet?” Klein’s arrangement of ‘Ukolebavka’ (Lullaby) is dark, rich, and warm. Simon’s Drei Lieder Aus der Chinesischen Flöte is harmonically interesting, with a nod towards exoticism in some carefully placed moments in the piano. Glanzberg’s cycle is lovely varied, and full of warm melodies. My favorite is the gentle ‘Alter Baum,’ with its lilting piano accompaniment and warm cello accents. Performances are good. Joselson sings with legato and excellent diction, and Lecuona’s playing is supportive and clear. Conklin and Holman add warmth and depth. Notes, texts, translations. An important succession of performances are currently being delivered around the country by Drs. Rachel Joselson, soprano, and accompanist Réne Lecuona. Songs of the Holocaust is a Gesamtkunstwerk. The concert effectively alternates briefly-spoken, framing information on the selected poets and composers with songs created during the reign of Nazi terror. Simultaneously, artwork --most related to the atrocities of concentration camp survival and the mechanized extermination of human life-- is projected on screen. The artwork is all the more effective because it is the product of victims and their relatives. Faithful translations of the German and Yiddish lyrics by Dr. Joselson, are supplied to the audience as well. Ironically, the German Art Song genre (brought to its highest form in the works of Schubert, Schumann, Wolf, Brahms, etc. and culminated with Richard Strauss) languished and effectively died during the same period in which the ill-fated producers of the twenty presented songs composed. Nonetheless, those songs gathered by Dr. Joselson are not also-ran art made worthy of presentation merely because they were created by artists drowned in the maelstrom of the Third Reich. They are true works of art elevated by the circumstances of their writing and the astonishing revelation that even in the "valley of the shadow of death" the human soul and spirit are compelled to "make a joyful noise." Indeed, counter to expectation of unremitting lamentation, many of the songs are lighthearted, celebrating life, love, and --in several lullabies --the universal longing of life to preserve itself. In truth, the songs selected are little gemstones, fashioned into valuable jewels by the clarity of Dr. Joselson's phrasing and authentic diction, the multifaceted colors her vocal mastery supplies and by the attentive, ever-supportive accompaniment of Dr. Lecuona. While both artists are clearly capable of bravura performance, they limit their dynamics and shadings in keeping with the form and the material. If you are lucky enough to live near where Drs. Joselson and Lecuona will be performing, do yourself a favor and attend this special concert. You can learn a wealth of information on the highly-accomplished vocalist at www.racheljoselson.com. If you cannot attend in person, you can avail yourself of the audio portion--supported in this version by cello and violin as well--via Amazon.com, under Songs of the Holocaust, published in CD form by Albany. It was truly a pleasure to share your beautiful presentation with Anshe Emeth. Your voice and expression, together with Rene's sensitive playing, brought these songs to life, and together with the visual images created a heart-rending portrait of a people that was so very close to annihilation yet held out and held out and held out. At the end of the day, they wanted nothing more than to live normal lives -- to be with their families and celebrate love and the normal milestones. But their lives were not normal. I know all about the power of music to deliver this message. As the survivors die out and are no longer around to tell their stories, music can still tell those stories. So I wish you all the best in your travels, to continue to tell this story with all of its heartache and nuance. I did love many of the songs on your program, especially For Ule and Lied zur gute Nacht. Thank you so much! “Songs of the Holocaust” was a deeply moving event for us at Chapman University. Soprano Rachel Joselson delivered a stunning performance in November of 2016. Her collaborator, Rene Lecuona at the piano proved to be the perfect partner. The songs they performed were touching, exciting, sad and at times even fun. Together, this duo brought to life music of depth and beauty. As they performed, “camp art’ was projected behind them. It took us back into this horrible time visually while allowing us to experience the profoundly beautiful sounds these composers left behind. After viewing the composer’s death dates in the program, mostly 1945, one has to wonder, what they would have written had they lived. We are truly fortunate to have had this duo as our guests and look forward to the continued circulation of their excellent work. Joselson and Lecuona’s performance of “Songs of the Holocaust” at Lawrence University was an excellent display of refined musical artistry and a welcome introduction to an outstanding body of previously neglected literature. Lecuona’s keyboard collaboration was expertly nuanced and colorful and Joselson’s singing vocally secure and beautiful, and interpretively sensitive and compelling. I look forward to the release of their CD of this wonderful material. Rachel Joselson’s poignant vocal performance of music by Viktor Ullmann and other composers who were incarcerated in Nazi Germany’s concentration camp in Terezin during the Holocaust invites listeners to reflect on the significance of artistic creativity and production to human beings who were forced to live under conditions of extreme inhumanity and who sought to preserve grim courage and dignity and the qualities of civilized life. Joselson and Lecuona's "Songs of the Holocaust" proved to be a deeply meaningful and captivating performance; a most unique way of sharing the horror and reality of the memories of the victims of the Shoah: thank you to the performers for a sincerely moving program of art and music. Our congregation and visitors were visibly moved, and had an unforgettable experience. Many congregants remarked that this was the most poignant Holocaust Remembrance program they had ever attended. I highly recommend this program and the artists for organizations and institutions looking for a solemn, but special evening of history and shared remembrance of the Shoah. Thank you so much for a truly memorable evening, beautiful, touching, wrenching. We are so glad you included us in your tour and so admire your dedication to this project. I want to thank you for the wonderful recital you gave to our congregation. "Music and Art from Theresienstadt" was beautiful and moving, poignant and inspiring all at the same time. The slide presentation enhanced the vocals and accompaniment. Our congregation was very moved by the program, and there was not a sound during the one hour recital. At the end, you answered questions and added layers to our understanding of the music and art that refused to submit under the worst possible inhuman circumstances. You certainly added depth to our commemoration of the Holocaust.﻿ We wish you great success with this project. We are sure that audiences will appreciate the suffering and bravery of inmates even more after seeing this presentation as we did. With each track of Songs of the Holocaust, the unparalleled Rachel Joselson brings forth a cry from the heart; hers is a truly authentic commemoration, at turns devastating and inspiring. The collection of songs from Terezin represents a repertoire not often experienced, yet worthy of all ears that would hear and souls that would meditate. Partnered with the masterful interpretations of pianist Rene Lecuona, Ms. Joselson's voice provides a remarkably moving lens through which to engage in this unexpected corner of music literature. Through “Songs of the Holocaust”, Joselson and Lecuona give voice to the voiceless.